Ecatepec - Piramides Km. 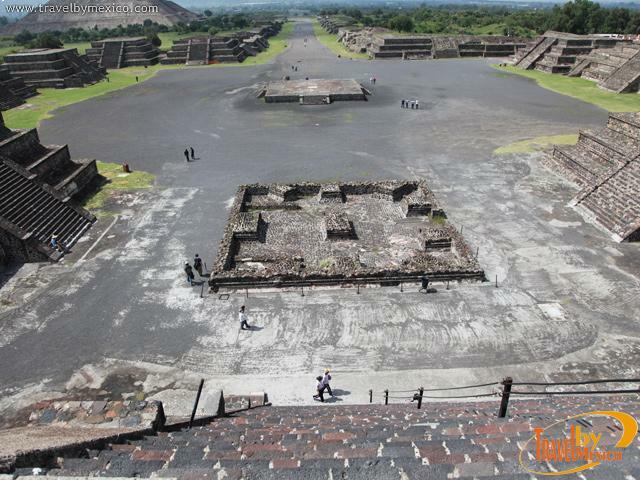 24.600, Teotihuacan, Teotihuacan, Edo. Mex.. 55800. 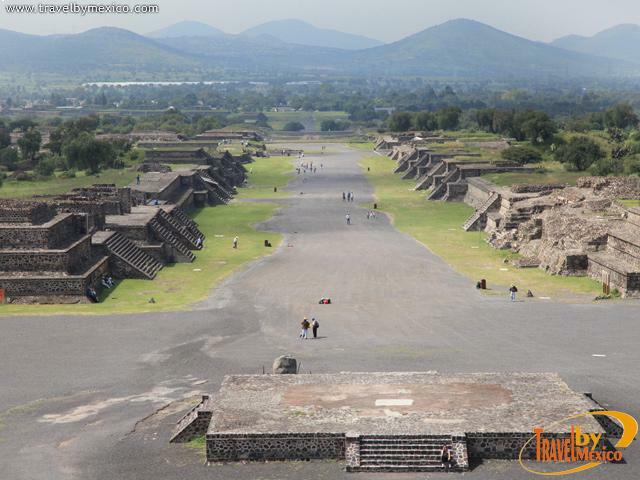 In the pre-Hispanic city of Teotihuacan, in the Plaza de la Luna (the esplanade under the pyramid of the same name), you can visit the Palace of the Jaguars, one of the most significant temples of the holy city. This building has a large courtyard surrounded by small rooms with magnificent remains of mural paintings. On its walls can still be seen some representations of jaguars (hence its name) and a ceremonial headdress as well as marine elements (snails and shells). These paintings, despite the passage of time, still retain some of their original coloring. Below is a structure of two staggered bodies known as the set of mythological animals. 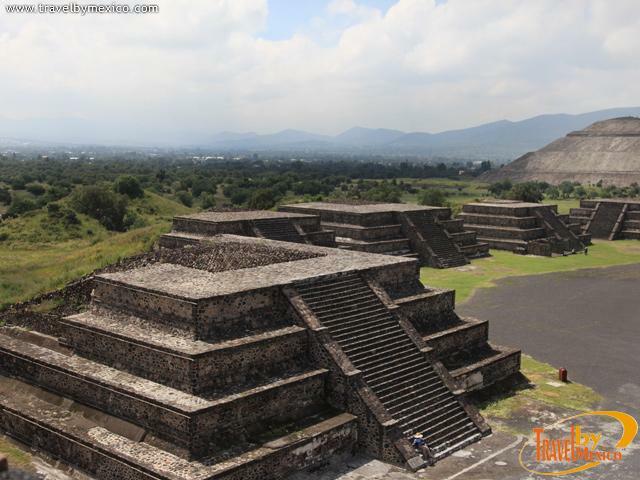 Most important archaeological site of Mesoamerica and most visited of Mexico. 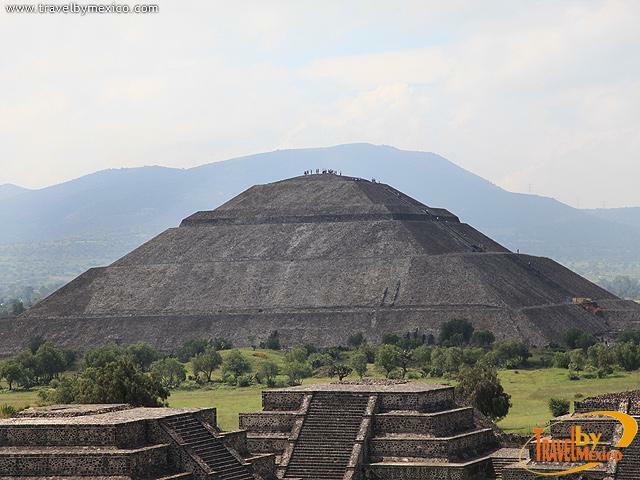 The Citadel, Temples of Quetzalcoatl and Tlaloc, and the majestic pyramids of the Sun and Moon, traces of Teotihuacan culture, framing the long Roadway of the Dead.